Description: This bamboo cutting board is the perfect size for preparing large meals to snacks. 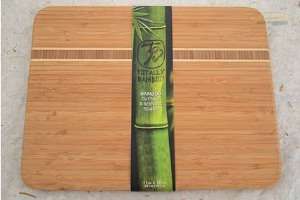 The flat grain bamboo is very attractive and is renewable resource. 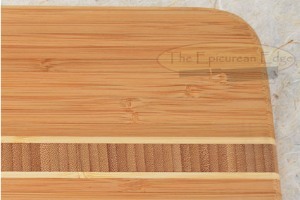 The wood, which is 16% harder than maple, is hard enough not to mar easily, but soft enough so as not dull knives. 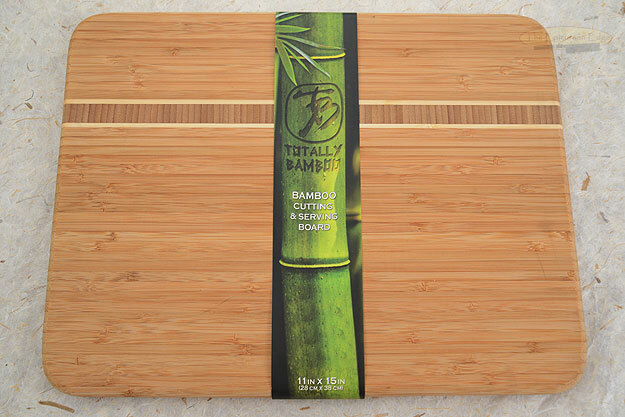 Solid bamboo. Dimensions are 15 inches by 11 inches by 3/4 inches. 0.1396484375 0.0615234375 139.6484375 61.5234375 Trailer Started. 0.2646484375 0.125 264.6484375 125 Trailer Completed.